This is a collection of stories drawn from many different tribes of Native Americans. Although the different lifestyles of these varied peoples dictate widely different types of story, they are united by a common belief in the spiritual power of the natural world and the magic that inhabits all living things. Stars and animals speak, wizards and giants cast wicked spells and young heroes and heroines brave all dangers to come home safe in the end. With flute, drums and other instruments, this troupe of storytellers, weave tribal stories about lessons of life. Each story has a meaning about aspects of growing in spirit. The listener is enlightened by tales of magic, star people, animals and birds in the natural world and otherwise. The stories teach the listener of the rewards of courage, gratitude, and love. Each had a different message within the story presented. This is the way the Elders taught the children. I found listening to this type of presentation relaxing and entertaining. Easy to take in one or more at a session. With a combination of reverence and humor, Panther-Yates takes us on a tour of the Four Corners' world-renowned - and lesser known - ancient sites. Originally published in the Santa Fe Sun-News, these columns testify to New Mexico's undeniable power and mystery. In addition to the usual Native American dances, kiva mysteries and petroglyphs, the author introduces us to the offbeat spiritualities of the Muslim-like Penitentes of Abiquiu, Chimayo's santeros and a teaching coven of witches in Taos. Arriving late evening to the Hopi Reservation, after a drive through the Painted Desert and the badlands, Donald and Teresa Yates pitched a tent at the empty Hopi Campground. Seeing no human presence they turned in for the night. The night was spent restlessly, listening to the winds, tossing and dreaming about unfamiliar creatures. The next day, they were met by the Hopi Tribal Chief who arranged for them to visit the Hopi sacred site with a local guide. It was at this site that Donald Yates came face to face with the manifestation of his nightly vision. Perhaps his totem? From a cave emerged, the Black Fox. This creature is mythical and magical in Native culture, especially for the Cherokee. Yates ancestor was Nancy Cooper daughter of Chief Black Fox. This was an unexpected turn of events to be found of all places in the western dessert. The desert landscape is harsh and beautiful at the same time. There are many traces of Ancient habitation peppered throughout, if you only knew where to look. There are at least 650 of these sites in the Petrified Forest National Park. Many of these places are fearlessly and secretly guarded and protected. The uninitiated won’t just find them in the tourist books with a map. Donald Yates takes us along with his exploration of this vast treasure of Ancient footsteps, painting us snapshots in time. The stories originally appeared in the Santa Fe Sun-News as articles with photos. You can view them in the companion print version of the book. While living in New Mexico, the Yateses took advantage of the opportunities to visit the local tribal lands. The Hopi Lands which opened this narrative was one of these visits. There are many in this region of the four corners area of Arizona, New Mexico, Utah and Colorado. Many of these places seem to hold spirits among the abandoned landscape. The Hopi and Zuni though still reside in theirs. On this day, Yates took us to places I whizzed past on my own short visit to Arizona. I managed to visit, the Petrified Forest, the Kivas in Canyon de Chelly on Navajo lands and Sedona area Montezuma’s Castle and Well. The pueblo remnants found in the Petrified Forest and Tuzigoot, “crooked water” a 600 yr. old Sinaguan Village with Pueblo ruins. This site was excavated by graduate students at the University of Arizona and preserved by the Roosevelt Civilian Corps in the 1930’s. The masonry room blocks were abandoned over 600 years ago. The site can be found on a hilltop overlooking the Verde River. The southwestern sites were occupied for thousands of years, at least 10,000 years dated to finds of Clovis points. Newer research suggests the area may have been inhabited 40,000 years. It was suddenly, quickly abandoned perhaps in the 1500s. When Coronado came through little but ruins met the exploration party. There is so much to see out here. Back to this day, Yates brought us the inside scoop that most of us don’t get to see. What a privilege! The story of the Hopi Mesa triad is shared. This choice spot was chosen for their inherent position in relation to Orion just as the Ancient Egyptians built the pyramids and the Maya raised their magnificent stone platforms. The Petroglyphs in the Petrified Forest seem to be solar calendars. These figures are spiral or circular in design. At the solstices and/or equinoxes, a beam of sunlight moves across the pattern until touches the center. Dr. Yates was fortunate, though not realizing it, to view several sites at the end of the day to have hidden secrets on the rocks to be revealed. The People were very in touch with the seasons, day and night written in the cosmos. Archaeoastronomy is a theme in Ancient sites where they are found according to Scott Wolten forensic geologist, History Channel Host of America Unearthed. I would love to see these sites in one of these episodes featuring Dr. Yates and his explorations. He is generous in sharing his experience of Native American Culture of his own and the local tribes he visits wherever he lives. This was a great chance to visit a Hopi Tribe Sacred Site through him. I hope you enjoy the visits as much as I did! 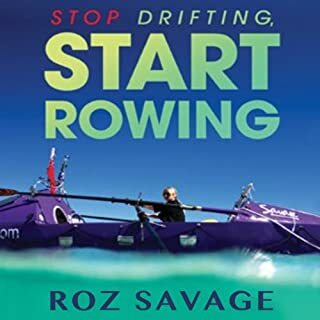 In 2007, Roz Savage set out to row 8,000 miles across the Pacific Ocean—alone. Despite having successfully rowed across the Atlantic the previous year, the Pacific presented the former office worker with unprecedented challenges and overpowering currents—both in the water and within herself. Crossing Earth’s largest ocean alone might seem a long way removed from everyday life, yet the lessons Roz learned about the inner journey, the ocean, and the world are relevant to all of us. Unfulfilled in a materialistic lifestyle and an unsatisfying marriage, Roz shook up her life. Realizing a fundamental truth in her being, She decided to row the oceans solitary to bring awareness to the earth and the damage we are doing to the environment . One obstacle involved broken water makers. Roz had a computer on board which she connected to satellite to post a blog. One post concerned the Junk ship launched from CA with destination Hawaii, it's mission to study trash from land and it's cumulative effect stalling out in the Great Pacific Garbage patch. Roz managed an ocean meet-up with guys sailing he ship made from plastic bottles and other trash, celebrated with them with a fish fry and was awarded a share in their water to get her the rest of the way in their common destination. Serendipity on the high seas seems to be a major theme in the narrative. She had many of these types of encounters and other events for better or worse. I chose the book, because I was intrigued with the idea of one woman and one boat crossing the great expanses of water between continents. There is much controversy in academia about how the first people's migrated to the Americas. The prevalent theory is the Beringia Land Bridge access. Other researchers have a preponderance of evidence for also a water landing perhaps as early as 40000 years ago . If one woman rowing a boat albeit one loaded with modern technology such as GPS, weather monitoring by satellite phone, surely skilled Ancient mariners could have . No Problem! I learned much more though and left the book with great admiration and understanding for Roz Savage for her dream of purpose and a kindred spirit regarding Native American Wisdom and a purposeful life! I will check out her book about crossing the Atlantic. What could these two places possibly have in common? Donald Panther-Yates takes us on a personal hike to visit these sites in New Mexico. Deep off the beaten path in New Mexico is the Los Lunas Decalogue Stone that is encrypted with the Old Testament version of the Ten Commandments. Written in ancient Hebrew script, it has been dated to 1000 BCE thereabouts.Its location is known to very few. There are no maps nor directions given on how to find it. You have to know someone to take you there. Despite that the Stone has been desecrated since his visit. How sad such a thing occurs. But there are many reasons this happens and has been repeated centuries since such finds because Academic Folks, and other Activist just don’t want to admit that seafaring people have been visiting our continent for 100s and 1000s of years. Yates takes us through an unlikely and unknown history of the Phoenicians. Minoans and Romans. Their knowledge that our lands were here. The Trade among Ancient Europeans and Ancient Americans. Chapter 2, on p12 “The facts pouring in from every side bring us to the… general conclusion that ancient American civilization was stimulated by transoceanic contacts from the east and west, among them contacts with the Mediterranean were especially creative”. Besides taking us to the Southwest, In Chapter 5, Yates takes us among the Maya, one of the earliest Indians with a written language. They used Phoenician Scripts. One of their Myths are about a bearded white man with a “wizard” (pointed hat) who came among them and brought culture. He was called Quetzalcoatl (feathered serpent). He is illustrated in their temples. He promised to return, so the Maya were forever looking for him. When the Spanish first came they made a grave error in thinking they were represented by him, losing their culture and world altogether. Other writers have speculated and wrote about this being Prince Madoc and his expeditions. To Quetzalcoatl’s Cave. There are signs it is his tomb. Could it be? Yates tells us more about this characters legends. In addition he discusses Maya’s Jewish apparent Jewish connections. Other places he visits is Chaco Canyon and describes the Clovis culture in New Mexico and the South. I found it interesting. I visited some sites around Sedona, AZ myself. You can find 7 National Parks within driving distance. There are Pueblo ruins, petroglyphs, Canyons, and Anastasia Ruins. I visited Canyon de Chelly on the Navajo Reservation. There is much hidden history in the Southwest’s Canyons. I find Donald Panther-Yates Writings informative, enlightening and personable! This is one of my favorite books since I can imagine the places and the landscapes in an area that I have visited; places full of the marks of the Ancients. Photos are included in the Print version of the book. With wry humor, irony, wit and wisdom, the authors bring you 15 years of Panthers Lodge. You are introduced t0 the truth of being a 21st century Indian, along with historical Indian perspective. 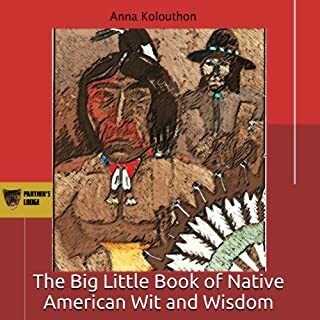 Some of the contributors are J. C. High Eagle, Russell Means, George Starr-Bresette, Brian Wilkes and the authors Anna Kolouthon, Donald and Teresa Yates. Some interesting post from Panthers Lodge guest book is included. You are introduced to the top ten reasons to be Indian. The Number one reason on Being Indian, YOU HAVE AN OPPORTUNITY AT LEAST ONCE A DAY THROUGHOUT YOUR LIFE TO EXPLAIN TO PEOPLE WHAT KIND OF INDIAN YOU ARE, HOW MUCH, AND WHICH PART. Are you all or part and which part? Will you take the hatred and misunderstanding along with the mystique? J. C. High Eagle gives you many examples of Being Indian. Many Funny and profound. Donald N Panther Yates offers What is Truth in Chapter Two. 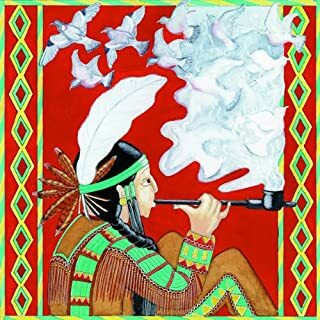 Chief Two White Feathers says: “People ask me what they can do about the world. I tell them to stop lying. 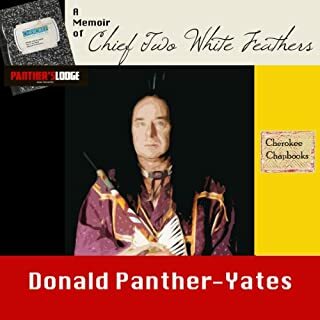 Tell the truth, to yourself and others.” Donald Panther Yates interviews Chief Two White Feathers and wrote A Memoir of Chief Two White Feathers also found on Audible. Speech to General W. H. Harrison and The REAL Story of Thanksgiving. Other questions are answered such as why the Clan system was suppressed and musings of William Bartram. The subject matter is broad and will tweak your interest and desire to read more. Donald Yates is a descendant of Cherokee Chief Black Fox and a tribal Elder. His writings have much to share. I like reflecting on my unknown Cherokee Heritage and the lessons he teaches. Richard B Rees narrated the book, delivering a pleasant listening experience. Listening and reflecting on Native Wisdom is very insightful and is best received in a meditative state of mind. “The Milky Way is the spirits of our people” is one of many teachings that Donald Panther-Yates wrote down in his composition note book told to him by Chief Two White Feathers. Chief Two White Feathers is a multi-faceted individual, Shaman, Artisan, Musician. As an amateur astronomer and geophysicist, his views on Aliens and Orion will delight the fans of Ancient Aliens. One interesting story is about a “joy ride” or road trip on the Natchez Trace with the Author late at night. A lot of storytelling can occur on road trips, and subject matter flows with the miles. This tale is interesting and lends itself to road trip entertainment. There is truth in a lot of good stories. In particular there is one regarding how the politics of the AIFRA (American Indian Freedom of Religion Act) came about. I didn’t know that, but vaguely remember it from 1979. In my view One of the lesser known great accomplishments of President Jimmy Carter. I enjoyed Richard’s Narration style. He lent inflection and personality, by distinguishing between the Author and Paul Russell. The Book is Fascinating insight to native spiritual traditions! 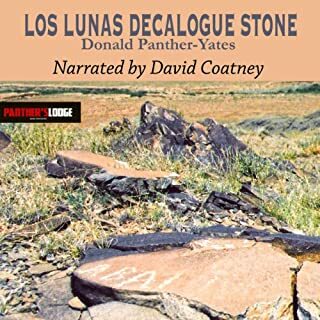 Donald Panther-Yates discovers a rare find and brings it back from dusty forgotten pages to share with us from Panthers Lodge. 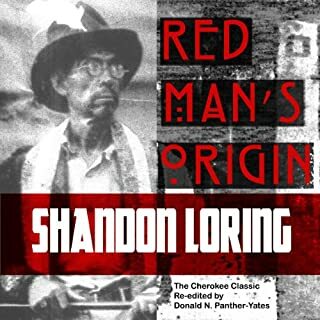 “Red Man’s Origin” was first published in 1896 in the Indian Chieftain, a Vinita, Oklahoma newspaper. It is the words of George Sahkiyah “Soggy” Sanders who became a Senator from Oklahoma though he spoke little English nor wrote any Cherokee. His word were translated by William Eubanks. What unfolds is an amazing story of leaving flooded homelands, splitting of the tribe into different languages reminiscent of the Tower of Babel story in the Bible. They leave their lands, travel a long distance by water and land in the New World. They reconstruct their remaining clans into 7 based on the Yohna Constellation. You will find out which one that is in the book. They lived a peaceful existence for many years that were attacked by foreign Dark Invaders they defeated twice. Then the White Man came. Friends that became the Ancient Version of Frenemy. You will be amazed at the Cherokee Version of their own story. Who or what is Melungeon? When doing population studies and migration, much can be learned by following the food. For example, Maize can divulge much about Indian migrations from Mesoamerica. Likewise, eggplants went with the Jews. Yates construed a history of the eggplant and the meaning of the word Melungeon. That is in Chapter 2. He takes us through all the Melungeon origin theories, some Indian Trader History and his own families hidden Jewish and Cherokee Roots. Highly entertaining and enlightening! You throw out eggs with blood spots. You suffer from something folks call Indian Fever or in my family called that old Indian Blood, my aunt used to call the family autoimmune diseases that are varied and prevalent and unexplained allergies. 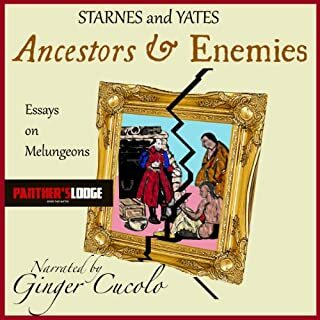 My Aunt had Lupus she always called it that old Indian Blood disease Phyllis Starnes takes us into the mysterious diseases shared by this mixed group of southern peoples that have been written about since early explorers documented them. With the current direction of medicine going to individualized treatment with DNA it is important to know your medical genealogical tree. Her Daughter Julia muses if she likes Middle Eastern Dance because of her genes. My mom liked to take Belly Dancing for fun. Your mother has a letter at the Baptist Church, your father at the Methodist Church, they sent your brother to the Pentecostals and they sent you to the Presbyterian Church. The church thing cracks me up. Granpa started a non denominational church to welcome all his children and the different religions. Primitive Baptist, Methodist, Church or Assembly of God. but those Catholics my mom never heard the end of that one when she married my Catholic Step Dad. Not all of the things were obvious to me but I didn't grow up among my dad's Methodist family (they are all buried at the Methodist Church) though my parents met at Assembly of God camp meetings. Going to Church was dating. My Grandmother would chaperon them by riding in the back of the pick up truck on dining room chairs. Xmas was just about giving gifts to family and the poor…we Celebrated Xmas with Charlie Brown home made decorated trees alongside the real one .I still love to have a really big tree decorated. Getting gifts doesn't matter so much sharing with family does. There are six women named Alzina Louisa in your family tree. I have both of these and even a Louisa Jane. Maternal Grandmothers Family Tree( Bonner, Turner, Carney, Adams) For Example Mary Polly Adams born in Bethany, GA 1771 married Jordan Bonner had a daughter Mahala. (married John Parker Jenkins). I have a Louisa Adams born in SC or GA before 1780 on my dads side. My grandmothers Turner Father had a Louisa Jane Carney as his mother. Louisa Jane mother was Sarah Cox. The Turner family only goes to 1838 in GA and includes all these surnames mentioned. My initial experience began in early 2000 when I began to research my maternal grandmother much wasn’t spoken about her family because that was where the Indian Blood was. The Bonner family history handed down they were French Huguenot. I wanted to know more about all these unknown grandmothers. When I researched certain surnames and posted on forums about health I started getting pointed towards Melungeon forums. So I Had to find more. When I started trying to find more about my fathers side, his mother, surnames like Mazingo/Mozingo things really got interesting. That ends up being the most well researched lineage I have investigated and is of interest to many researchers. It appears to be North African or Moor. Looking for the Indian Ancestry of these unknown and known grandmothers I came across the Melungeon research. The Melungeons encompass related groups Redbones of Louisiana, Alabama Cajuns, and Appalachian folks the birthplace of the first written account of them at Stony Creek Baptist Church Minutes in Washington County, Virginia. Phyllis Starnes is a descendant of the Stony Creek Baptist Church members. 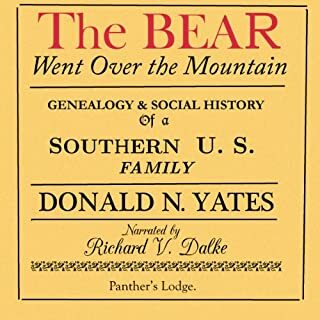 Donald Yates, presents a series of essays written during his process of discovery about his own family. He shares the research of surname studies and DNA studies in his books. Melungeon DNA studies were also undertaken. Genealogy he says is a window on History. DNA trumps genealogy he proclaims. It uncovers what the ancestors kept hidden and it is undeniable. It reveals interesting in-congruencies between the past and the truth. It changes what we know about Jews in America and Southern Indian History as written about in the past. Time to discover the truth. This book arises out of the personnel experience in these authors journey of discovery. Sometimes enlightening, a thunderbolt of knowing and contentiousness. Some folks just don’t want to see the truth and cling to their own myths about their families DNA trumps genealogy we just might not want to find the truth or it will send you on the trip of a lifetime in getting to it. Ginger Cucolo is the narrator of this book. I Love it. She reminds me of Family in , AL She has that Southern Scot-Irish Appalachian accent. Most folks don’t know that the Southern Accent derives from the old Scot and Irish Gaelic and Olde English dialect . She is the perfect person to read us the book, she adds a warm cozy southern flavor reminiscent of what the Melungeons might have sounded like. At least their descendants do. Donald Yates forebear was Attakullakulla and Chief Black Fox. Nancy Ward was Known as Cherokee Rose. There is a statue of her that was stolen where she is holding an animal, he finds is the Black Fox. The Statue has since been found, and you can read more about that in the Old Souls in a New World :The Secret History of the Cherokee Indians also by Donald N. Yates. In the print version of this book there is a picture of the statue. You will hear about Nancy Ward’s Wolf Clan Family as well as the Cherokee Migration story. Rich Crankshaw delivers a smooth, pleasant reading of the Book. It is only 39 minutes long a great book for a short trip in the car or a bedtime story for children. 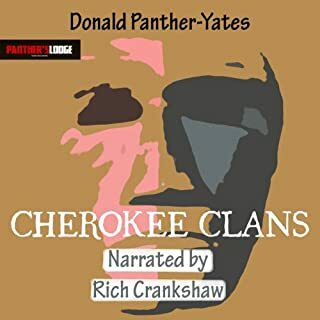 I like the audible version because you can learn the correct pronunciation of the Cherokee words and sounds. Yates outlines from his notes he has received from some tribal Elders the traits of the 7 clans and mentions some of the lesser known clans. Also he writes of the Story of the Sacred Dog about how the Cherokee came to America after a great flood and why they reside in the Mountains of Appalachia to this day. You will enjoy the short Clan History as I did. Walking in the South, whether it’s hiking or shopping, you smile an engage the people that you met in your daily “goings on”. Where are you from? Who are your people? Once, that bit of information is exchange the real conversation can begin. All around you as you pass folks in the store sounds of oh yeah, I remember your _ insert mother, father, grandparents cousins. The times we had, the time we shared…. Knowing about you. That is more than gossip but a genuine caring about folks. We are all kinfolks after all. Richard Dalke takes us into the story like your favorite uncle setting a spell on the front porch. Cozy and warm. Remembering fun times like making homemade ice cream with a hand crank. The cousins help, the Aunts shell beans and tell you the family. Granpa sleeps in the swing. “Named for the popular children's song, The Bear Went over the Mountain is more than a genealogy. Atlanta Constitution columnist Ray Tapley called it "a Song of the South." The book follows the author's family lines through ten generations, from colonial Tidewater Virginia to twentieth-century Florida. It contains chapters on all the states where the families lived, as well as special appendices on Southern language and Scots-Irish, Huguenot and Native American family life. The 468-page study has 117 illustrations, including numerous photographs and drawings. It is the most up-to-date compilation available on the Yates surname in American history. The indexes lists over 3,000 names.” This Best description of the book comes from DNA Consultants monthly newsletter. Even if you think this isn’t about your family but the Yates or Gates family. You will see yourself there and reflect on growing up in the South in the 50’s. Donald Yates the author, takes you from the colonists at Jamestown, and to the South. His own family trace that includes many of us including me. I didn’t know til I read the book, that Thomas Gates captain of the Sea Venture and Ancestor of mine, Surname Gates was also same as Yates. The Coopers played a big part in the settling of the old South West, and Indian Trade. In their long Association with the trail blazers like Daniel Boone in Kentucky; The Chickasaw in TN, MS, and Georgia, The Cherokee in KY, NC, TN, GA, Al and Choctaw in MS and AL. I read the e book online when it was shared by the author. I enjoyed it. It reminded me of 2 things That I have memories of, Pineapple sandwiches. I thought this was something my mom thought up. Yates shared them in the book as well as memories of Mimosa trees. My grandparents had one on the corner of the porch. Granpa would snooze in the swing and my cousin and I would climb the tree. He would catch us (peeking from under his straw hat not so asleep) and say, “ you gals get down from that tree.” (Girls aren't allowed to climb trees I guess, when my mom was growing up girls could only wear pants in the fields. It was against the religion of course.) Made me think of that anyway. It was a good read about some of the things in the South in our youth likewise about some of the earliest families in the colonization of the South. A Book to keep and remember for all of our aunts and grandmothers.